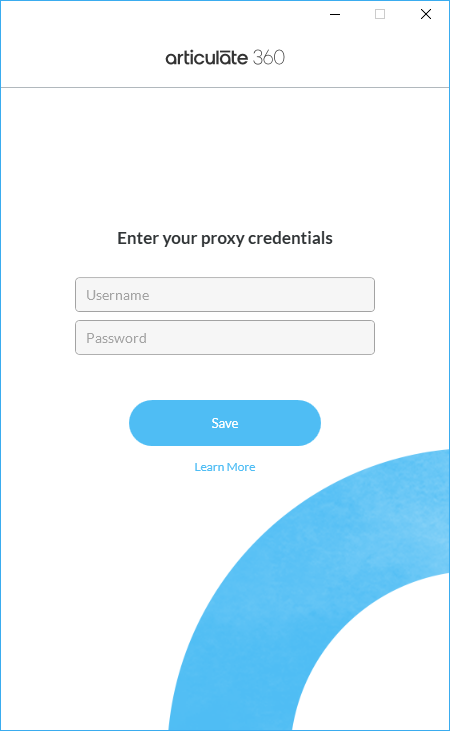 If your organisation is behind a proxy server, Articulate 360 will detect it and prompt you to enter your proxy credentials, so you can access all the resources included with your subscription. Just enter your username and password, then click Save. If you're not sure what your proxy credentials are, your network administrator will be able to help.